How Does A San Diego Judge Determine Temporary Spousal Support For A Legal Separation Or Divorce? The Judge, in San Diego County, has the discretion to use the Disso Master program which calculates temporary spousal support. The Disso Master program is the California State Guideline for child support both temporary [pre judgment] and permanent [post judgment] and, if one party does not agree with the guideline amount, then a motion for deviation from the guideline needs to be made. This is different for spousal support which, on a temporary basis, is to maintain the status quo and is considered “pendente lite”. The Disso Master uses the gross incomes of the parties as well as these other factors: tax filing status; wages and salary; self employment income; other taxable income; other non taxable income; new mate [spouse]; union dues; retirement; health insurance; property tax deductions and medical expenses above any premiums. It is very important to be able to know what this number will be before you begin any negotiation and/or litigation for spousal support. By knowing what number the Judge will look at when making a decision as to temporary spousal support, you will then have accurate information as to what number you should agree to. Of course, if the number is 100% higher than the guideline, you should consider accepting if you are the payee and rejecting if you are the payor. If the number is 50% below the guideline, you should consider not accepting if you are the payee and accepting if you are the payor. This is not legal advice and simply an analysis for the strategies when analyzing what number to agree on for temporary spousal support. How Does A San Diego Judge Determine Permanent Spousal Support Whether A Legal Separation Or Divorce? For permanent spousal support, the Judge [under California law] is not allowed to use the Disso Master and has to make a legal analysis under the Family Law Code Section 4320 factors. This is a need and ability analysis however many other factors can be included and, as always, the Judge has the discretion to award or not award spousal support. These factors include balancing the hardships to each party, health and age of parties, tax consequences to each party as spousal support is 100% tax deductible to the payor and 100% included in the income to the payee, criminal conviction for domestic violence of the supported spouse and many more. This can be a very complicated analysis. What Can You Do If You Feel That The Other Spouse Is Not Working To Their Capacity? In many cases, one spouse [and sometimes both spouses] feel that there is not employment to their capacity. An extreme example, of course, would be a licensed medical doctor working at McDonald’s in a drive through window order capacity. Under California law, while support is being ordered, the Court can order a vocational evaluation. This is an evaluation by a licensed expert who determines the earning ability and may be a very good strategy. Again, as with the temporary spousal support, an analysis needs to be made for the cost benefit and this includes the duration of the spousal support. If the spousal support terminates after 6 months and the difference [delta] in the amount of spousal support is $100 per month, then it would not make economic sense to spend $2,000 on a vocational evaluation. However, if the spousal support will not terminate as of the date of judgment [such as in the case of long term marriages] and the delta is $1,000 per month, then the vocational evaluation can clearly be considered an investment and not an expense. In many cases, one or both spouses are not working to their full earning capacity in San Diego legal separation and divorce cases. How Can A Law Firm Help? At the law firm of Doppelt and Forney, APLC, we have access to the Disso Master program. We offer a confidential and complimentary consultation and can give you a printout of your individual case numbers. This will allow you to make informed and intelligent decisions regarding spousal support. 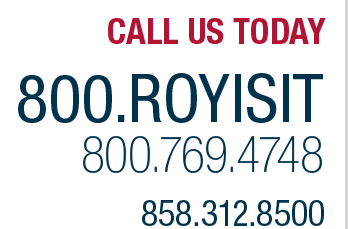 Please feel free to call our office today for your appointment if you are interested in consulting with an attorney.